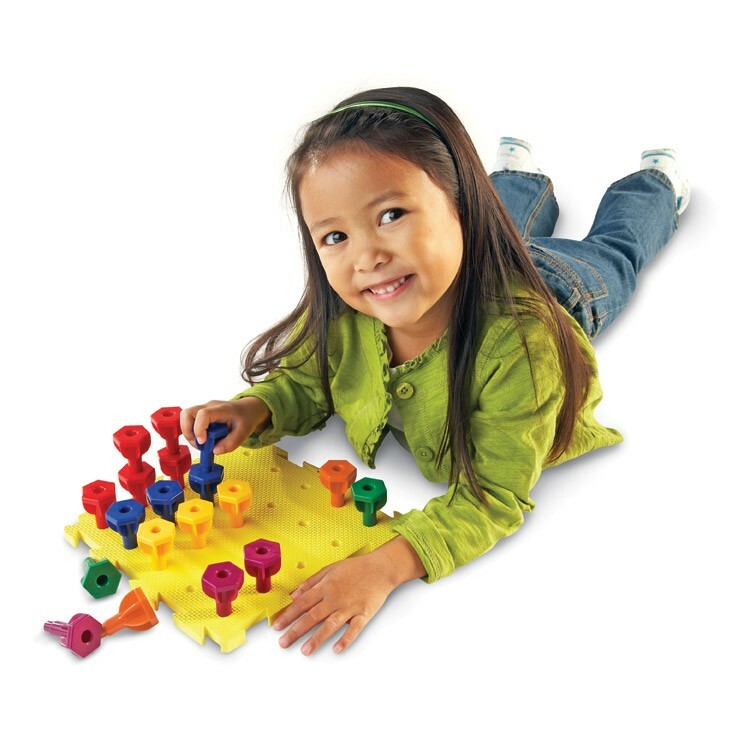 The award-winning peg activity set by Learning Resources is perfect for toddlers and preschoolers. 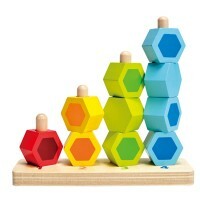 Vibrant shapes, painted numbers and sturdy durable pieces - what could be better? 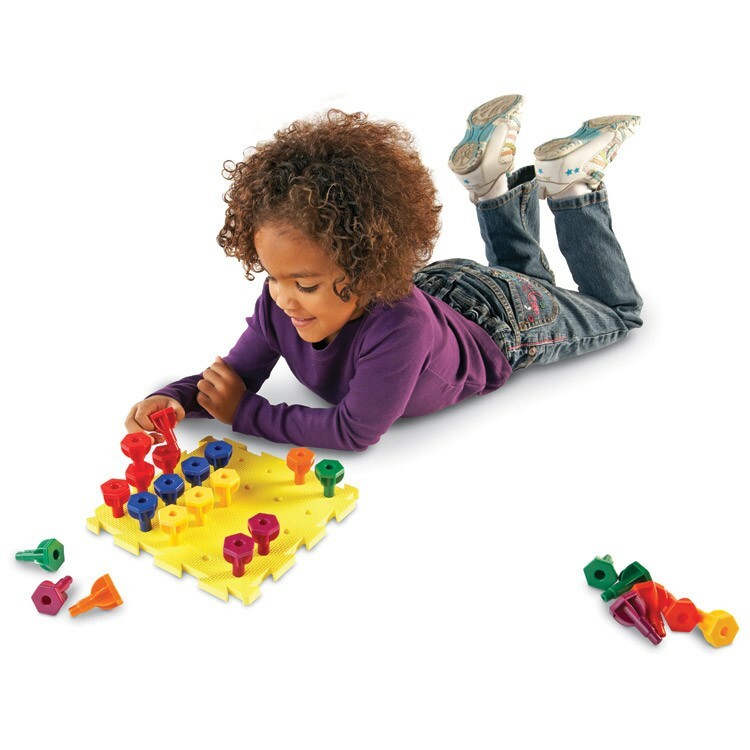 The award winning Rainbow Peg Play Activity Set, by Learning Resources, is a toddler-activity toy perfect for babies and young children of all ages. 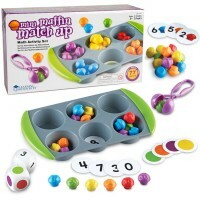 Featuring a double sided peg mat with labeled numbers and shape outlines, two laces and 30 easy-to-grasp rainbow stacking pegs, this basic math activity set offered by Educational Toys Planet introduces children to geometry and enhances fine motor development. 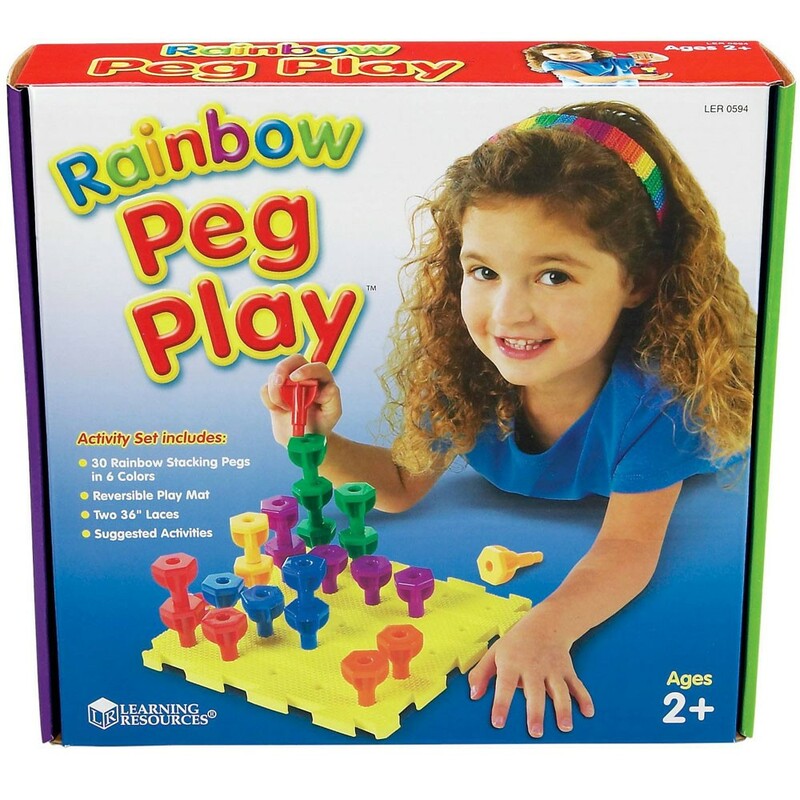 Rainbow Peg Play Activity Set comes with the activity book that will help your child learn the best ways combine learning and playing. 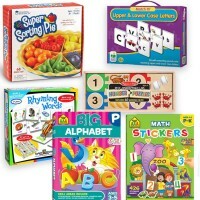 Take learning math skills through a rainbow of fun, imaginative construction and free play exploration! Dimensions of package 9.75" x 9.61" x 2.72"
Write your own review of Rainbow Peg Play Activity Set. Rating: 5 Well made and connect together nicely. by By A customer My grandsons love building with them. Rating: 5 Great activity! by By A customer My 2 year old LOVES these! They are such a good learning activity for him! Rating: 5 Love! 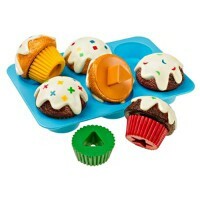 by By A customer Bought this for my 23 month old daughter and she loves it! 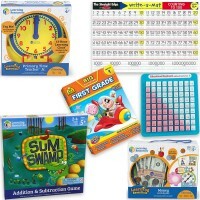 There are so many things you can do with this resource. Every time we take it out to play with she does something new with it. I’m super glad I bought it, and the price is great too. 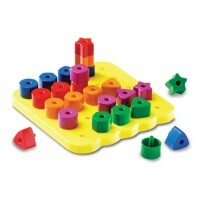 Rating: 5 Simple but fun by By A customer Toddler loved stacking and poking in the holes. For a small mat it has kept his interest for quite some time. He loves putting things in other things and this is a great size and design for him to build. 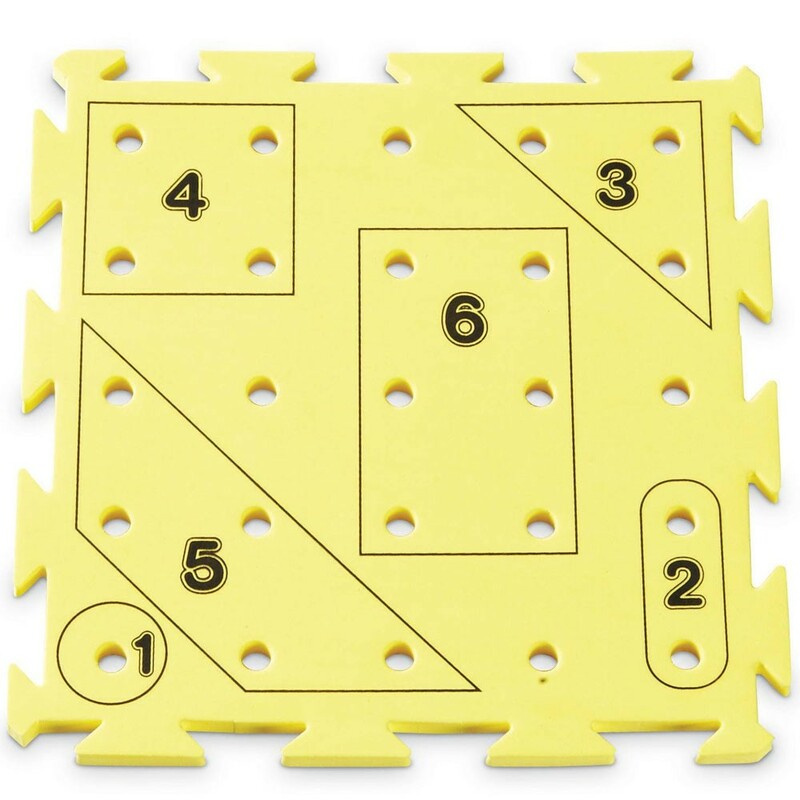 Rating: 3 The different activities you can do with the pegs is good for preschool age kids so they can learn how ... by By A customer I wish the pad was plastic and not foam. Not sure how durable that will be with a busy 4 year old and a 2 year old who likes to put things her in mouth from time to time, or if my dog gets a hold of it. 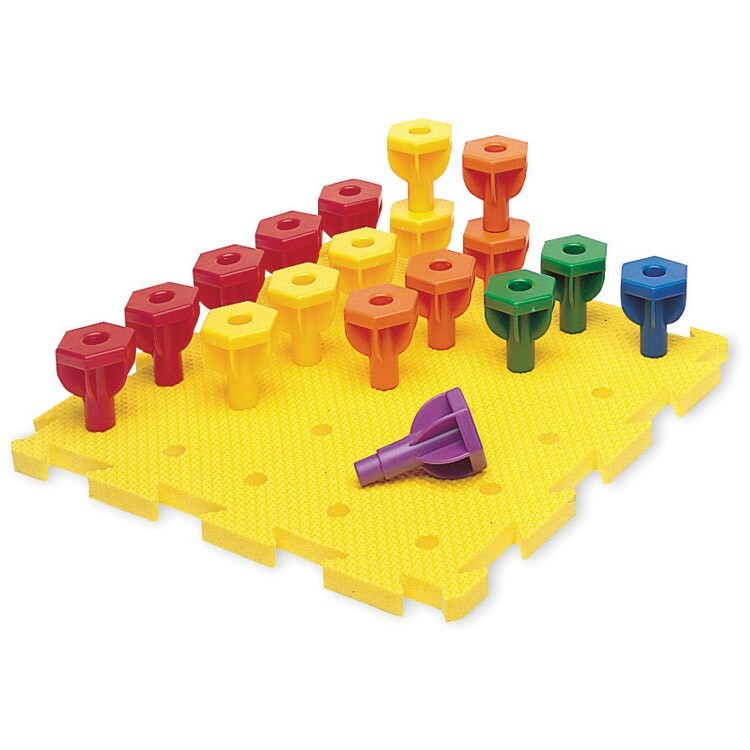 I wish all the pegs would fit into the pad at the same time but there are 25 holes and 30 pegs. 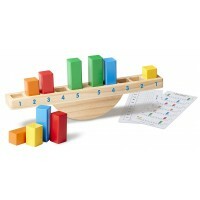 The different activities you can do with the pegs is good for preschool age kids so they can learn how to sort and learn colors. Rating: 5 by Lorna, TX I got this for my 15 month old granddaughter and 19 month old grandson. 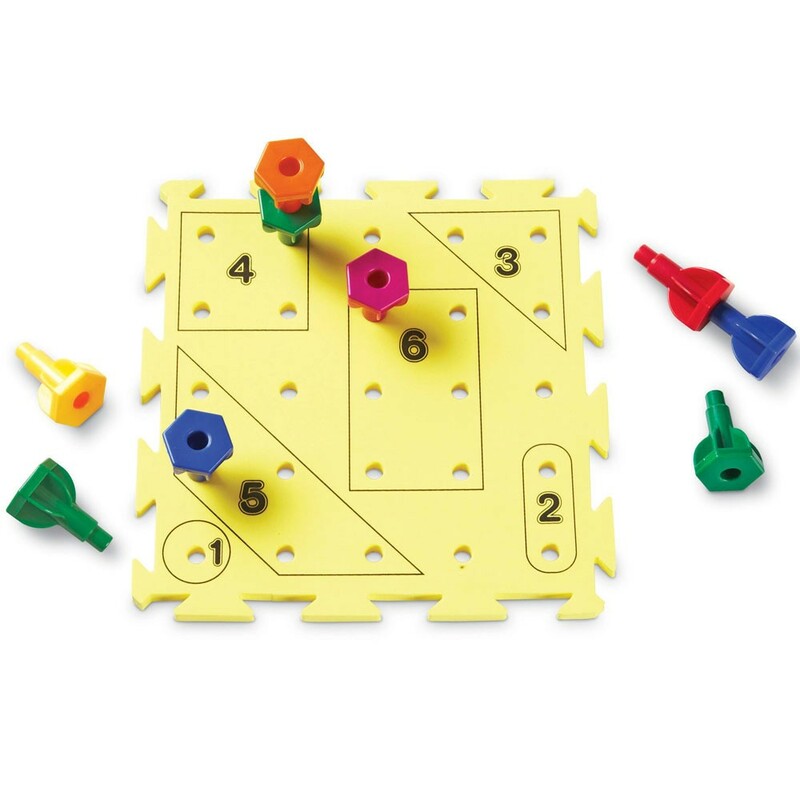 It kept them busy for a long time as they attempted to put the pegs in the holes. I like that it takes a bit of a push to put them in instead of just sitting in the holes. Great toy! Rating: 4 by Janet, OR This was given to grandaughter (2-1/2 yrs old) and her Daddy said she was more interested in the above gears that went to older brother. Once she got interested, she really liked it. Maybe just competition with older brother kept her a little at bay. Still, Dad was thrilled with a 'good' educational toy! Rating: 4 by Jason, CA It is more appropriate for a two year old. My daughter is 3 and enjoyed stacking the pieces as high as she could get them but the base is foam so it can only hold so much weight in one area before it tips over. 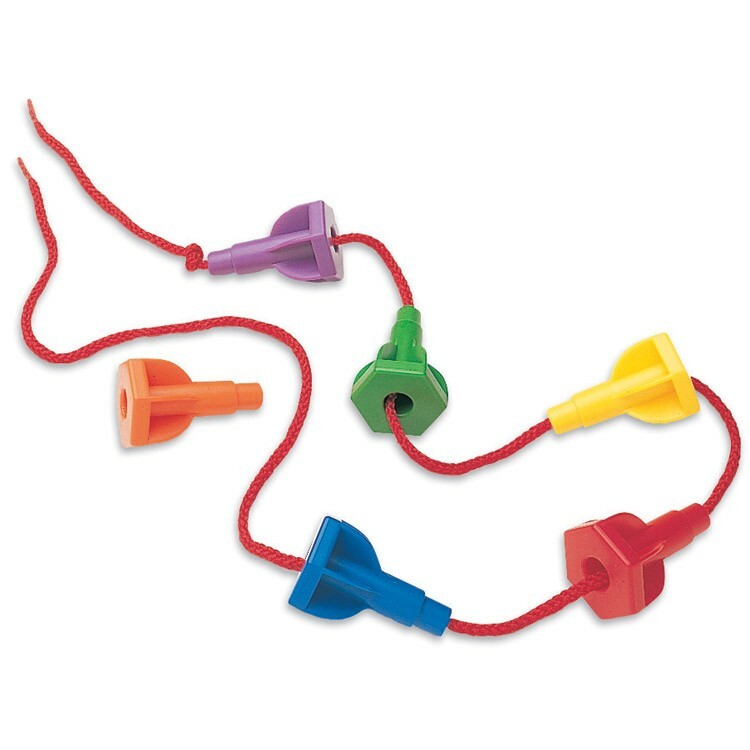 I would still recommend this toy. Rating: 4 by Jessica F., ME good manipulative toy. Rating: 3 by Gina, AZ My daughter is barely 2. I think as she gets a little older she will find it more interesting. Rating: 4 by James, NM Great versatility! Rating: 4 by Susan, FL The pegs are nice and durable. The base is too flimsy, but it works. I would prefer something more substantial. THe children are not at all interested in stringing. My group really isn't into classifying with these pegs either. 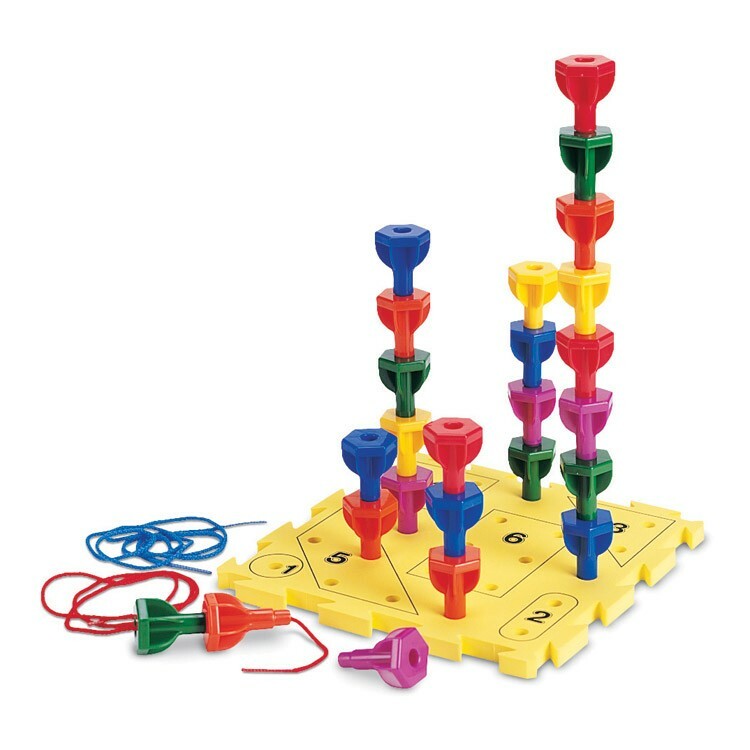 They primarily enjoy making tall towers. 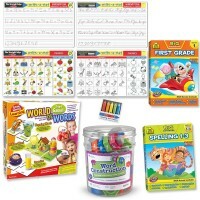 Rating: 5 by Rosa, NY colors, counting, Fine coordination, percepcion (spatial, visual), vocabulary..etc.